I’m feeling a bit guilty at not blogging (I finished uni, moved house, flew home mid-unpacking new place, did Christmas (crazy), then came back and have more or less finished unpacking) so I thought I’d do a quick post on Christmas. This year I got everything I wanted which was lovely, I didn’t ask for much and the things I received but didn’t ask for were also lovely! 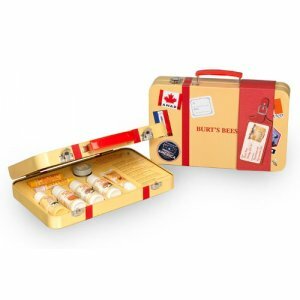 (All I asked for was the Burts Bees travel tin and a Swarovski Christmas decoration, I do love them so!) So I thought I’d share a few of the things I received. 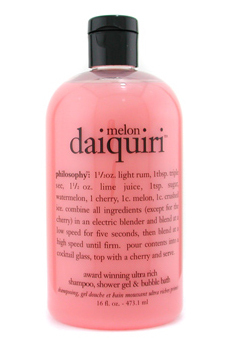 I love the Philosophy bath products – I love their ridiculous flavours, the colours, the font on the bottle! I was SO pleased to receive this, I didn’t ask for it, but it’s one of my favourites! I’ve never had a melon daiquiri so couldn’t tell you if it’s an authentic smell, but it smells lovely! It’s a face-masque full of seaweedy things and is the appropriate green. I love it. I’ve used it four times already. Mr G bought me this! I was so pleased I wore it around my neck all day on Christmas day much to his amusement. At that point I asked for a different one every year and nothing else. I really don’t want anything else, although Philosophy products are always welcome, I was so sad that Mecca sold out of the candy cane flavoured stuff this year. I love Burt’s Bees. I have no idea why. But you can’t go past a peppermint lip balm. And I’m addicted to travel products because I fly so much that anything that makes my life a bit easier. And who doesn’t love things in miniature? Plus I can use the can once it’s done. My brother and sister-in law also gave me a Billy Kwong voucher, and Mr G’s Mum gave me a Myer voucher. So I took myself off to Myer and self-gifted the following, probably the only thing in the whole store that wasn’t on sale. I have had terrible luck with perfume. They all smelled terrible on me. Then I found a sample of this in a magazine, tried it (ignoring Sienna Miller’s face), and loved it! And it didn’t change too much on me! Apparently it is a new and improved version of Hugo Boss Orange. I’d never worn an HB perfume in my life but I smelled the original and it seemed like one. Then my other sister-in-law smelled and it said it was Deep Red with a rebrand. Such is the world of perfumes, I’d never even heard of Deep Red. I like the bottle, it reminds me of 70s disco. Not that I’ve ever been to a disco and was barely alive in the 70s! It was a lovely, if frantic, Christmas. Presents were almost an afterthought. I did my usual thing of hitting up the Slow Food market, and this years discovery was these delicious wild olives. They are much, much smaller than in the picture but variably sized, from about the size of capers to blueberries, but elongated. The man at the stall said something about the seeds being dropped by birds and something about grafted stock but my knowledge of gardening equates to barely keeping basil alive and being defeated by whitefly with my balcony tomatoes – you can read about them here. 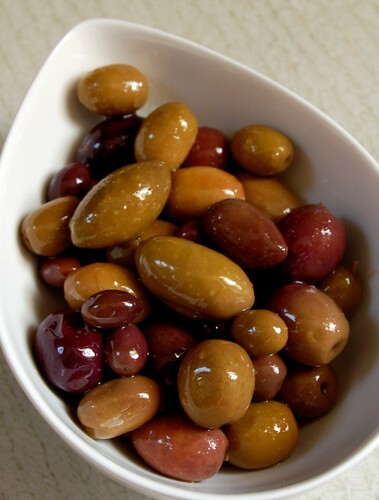 They taste amazing, intense, creamy, so different to normal olives – get your hands on them if you can. Stay tuned for A Little Bit More of Christmas!